It was go time! I was invited to speak at a conference on an island near Vancouver, British Columbia. I emerged from the ferry and greeted my driver. As I moved towards the car, my feet flew out from under me and everything went black. I woke up in a hospital the next day. My brain was foggy, while bolts of pain radiated from fracturing both ankles. Bedridden, and immobilized, my carefully laid-out plans collapsed and my income gone. 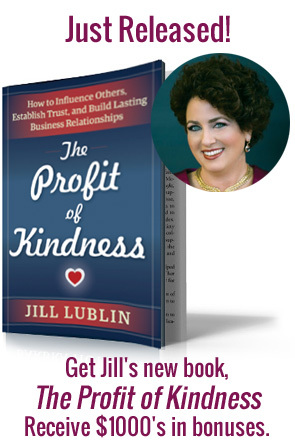 In my book, the Profit of Kindness: How to Influence Others, Establish Trust, and Build Lasting Business Relationships, I focus on the seven Return of Kindness (ROK) pathways. This book serves to help business owners, entrepreneurs, and executives notice if the rocks of kindness have been missing from their business model. If they have, these pathways can turn everything around. Kindness contains the word kin. “Kin” means a relationship between people, a connected group. In business, you can’t have kindness without connection, or connection without kindness. Flexibility is the key to life and to all healthy relationships. In fact, to be flexible is to be adaptable. Care and compassion cannot be faked. We as leaders must want to be authentic in connecting with people, and build it into our mission, business, and company culture. Consider revamping your company culture into a compassion culture. 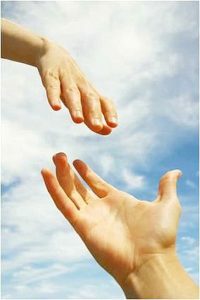 Practice forgiveness, offer constructive criticism and give the benefit of the doubt. The kindness currency that Mark paid me during my most challenging time has paid off for him tenfold through my referrals and book sales. Implementing kindness as currency in my own business has helped me flourish professionally and personally in ways I never dreamed possible. Consider the Profit of Kindness as a new kind of payment plan, one to which you commit yourself and your business in order to build equity in yourself, others, your goods and/or services, and your future. It is a plan based on seven pathways that generates a return on building long-lasting relationships through open exchanges that result in mutually beneficial outcomes.